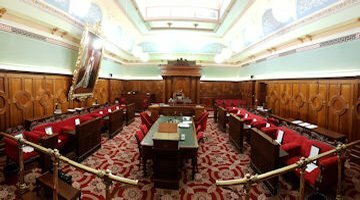 There was good news out of the Tasmanian upper house this week with the Legislative Council blocking a controversial change to the State’s Anti-Discrimination Act. The move to make it an offense to offend or insult a person for an increased range of attributes, such as religious or political belief, was decisively voted down my members. ACL led a team that briefed the upper house on concerns about proposed amendments back in June. This is a win for common sense and for freedom of speech. An amendment to allow for faith-based schools to be excluded from the Act, when selecting students from their particular faith, was narrowly rejected 7-7. Instead a more restrictive limited exemption was passed allowing for schools to discriminate in choosing students of faith only when there are more students than places. The amendment bill must pass the lower house for it to become law.